We offer a full range of real estate services tailored to you as an investor or homeowner. We have an extensive portfolio of single family homes, townhouses and condos in the Tampa Bay area. Bay Area Real Estate & Rentals is managed by a 25+ year member of the Greater Tampa Bay Board of Realtors (GTAR), Florida Association of Realtors (FAR) and National Association of Realtors (NAR). We are also members of the National Association of Residential Property Managers (NARPM) and the Florida Association of Residential Property Managers (FARPM). Specializing in both Sales & Property Management. A company commited to individual service for each of our clients. We service the USF, Temple Terrace, Tampa Palms, New Tampa, Lutz, Carrollwood, North Tampa, Central Tampa, Apollo Beach and Pasco areas. 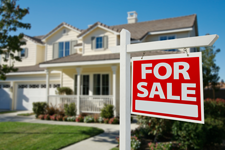 Our expertise is in sales and property management of single family homes, condominiums, townhomes & investment property.